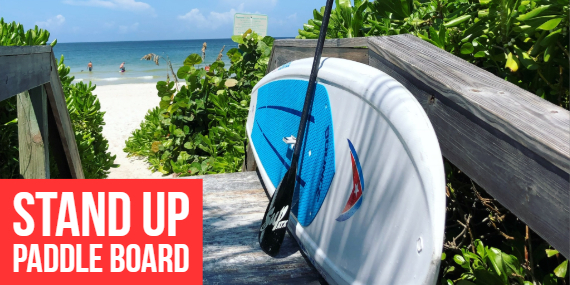 Old Naples Surf Shop is proud to offer Bounce SUP Boards for sale. Made in the USA, these boards are light, durable and responsive. Built for stability, the 11′ is a Multi-Purpose SUP which is great for larger and more novice riders, as well as anyone in the family. Bounce's innovative technology allows for plenty of bumps without bruises. 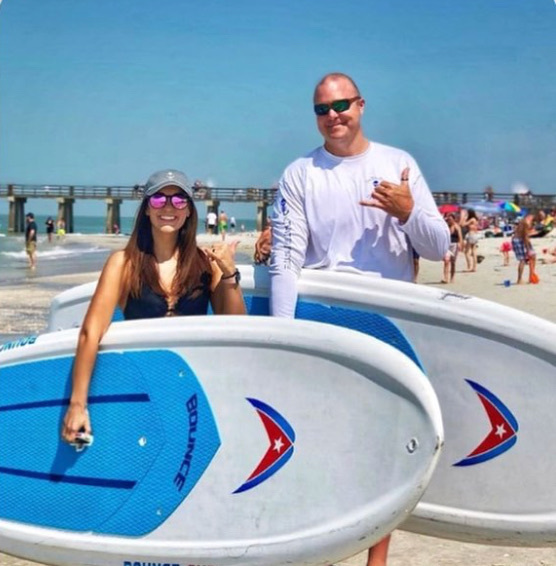 We're also happy to offer Inflatable Boards from Roxy and Quiksilver for sale.These 10'6" boards are lightweight and easy to transport and come with a paddle, ultra light pump, repair kit, and backpack!An ideal board for the Naples gulf and even small wave surfing. 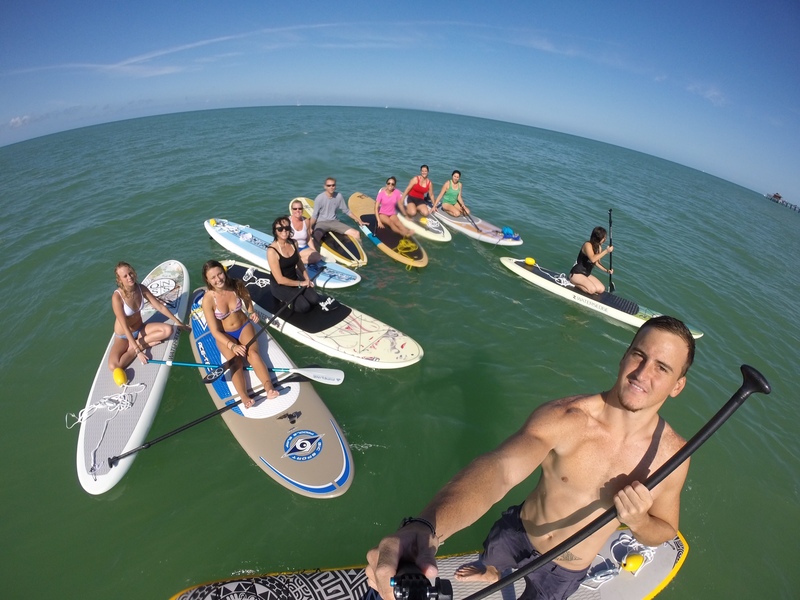 Inflatable paddle boards are perfect for boating or if you don't have room to store a full size board. 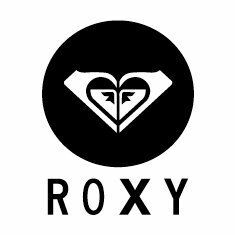 You'll love the Roxy graphics too! Spend the day at the beach and enjoy the thrill and peace of being on the water. Basic instruction and all equipment included. Half Day and Daily rates available. At least a 24 hour notice is recommended for reservations. Call (239) 262-1877 for Reservations. Cancellation Policy: may apply for cancellations made within 24 hours. 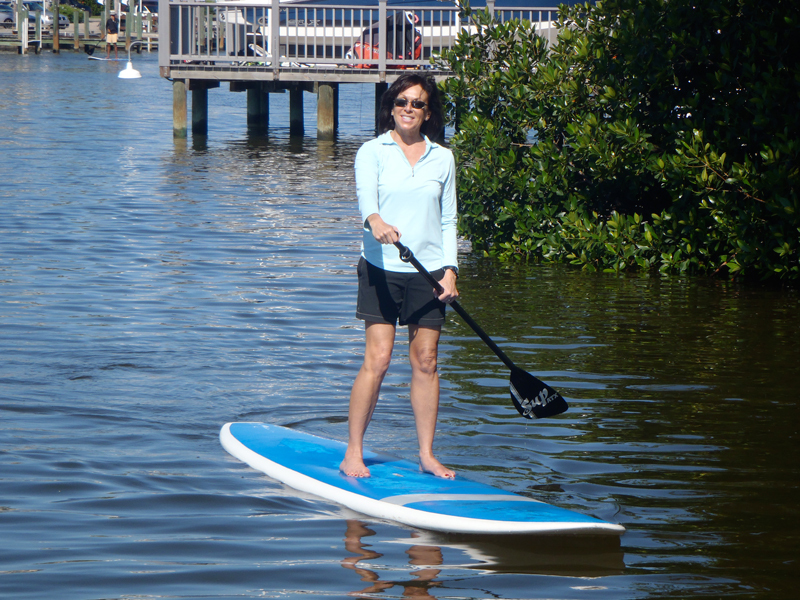 Old Naples Surf Shop offers private stand up paddle lessons for every skill level. All lessons are instructed by Certified Trained Professionals that specialize in safety and water awareness. 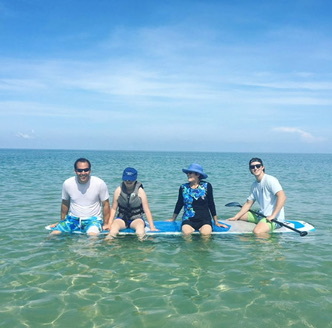 Discover the natural beauty of the Southwest Florida coastal environment with our experienced guide. 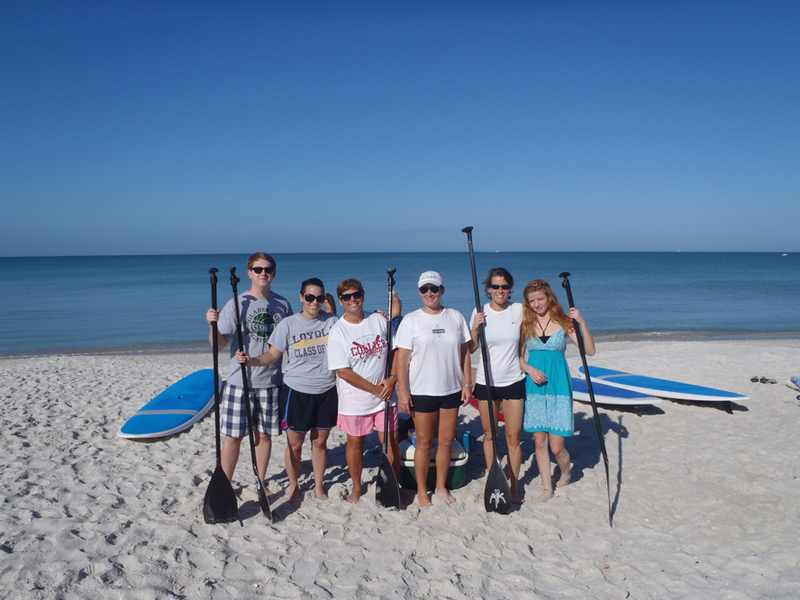 Eco Tours include board, paddle, PFD, transportation of equipment, and basic safety instructions. At least 48 hours notice required for lessons and tours. Call (239) 262-1877 for Rates and to schedule a lesson or tour.